This large American antique country market basket was found by a family member in a barn in rural New Jersey about 30 years ago. It was handwoven from strong and sturdy willow by a master basket maker. It's extremely well made and features a beautiful carved hickory handle. The basket maker used an interesting construction technique: there is a rectangular piece of wood in the bottom for reinforcement and the basket was woven around this wooden piece. 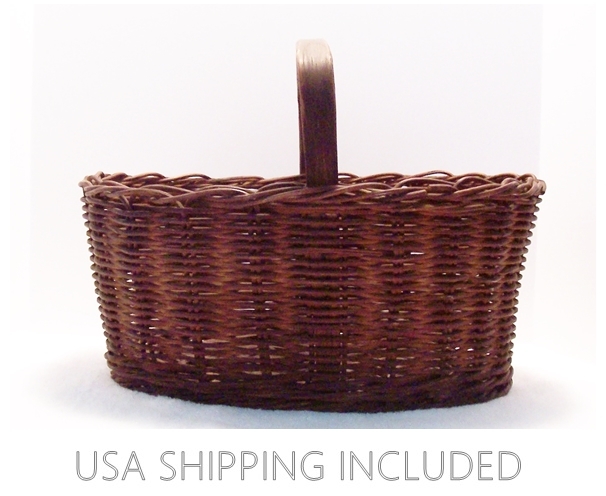 This early 1900’s basket has a wonderful, untouched dark brown color and patina. Except for a few small splits in the willow along the upper edge (but no missing pieces), this basket is in outstanding vintage condition and still tightly woven. 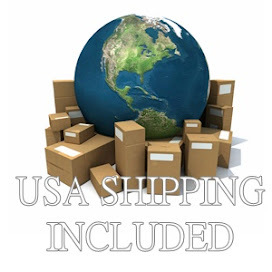 It measures 14 ½ inches long, 10 ½ inches wide, 5 ½ inches deep and 10 inches high including the handle. This is a sturdy, useful antique basket to add to your collection and to decorate your home.